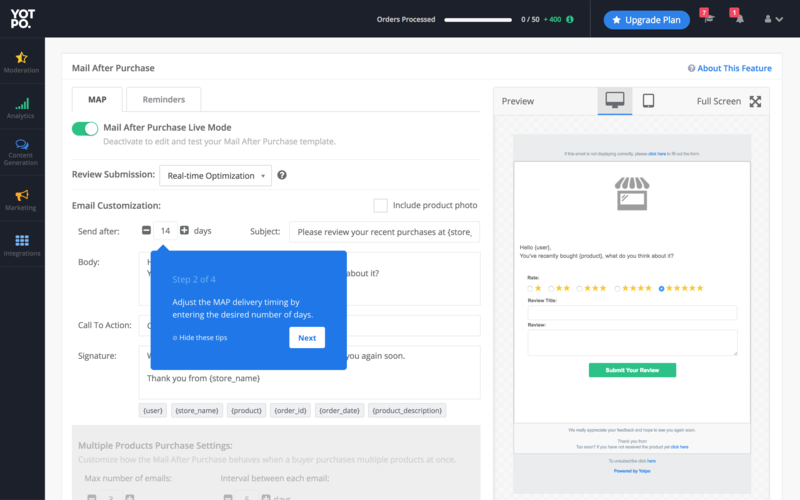 Yotpo helps brands leverage their user-generated content to improve their marketing efforts, either by asking for customer reviews, or by curating photos and mentions from social media. 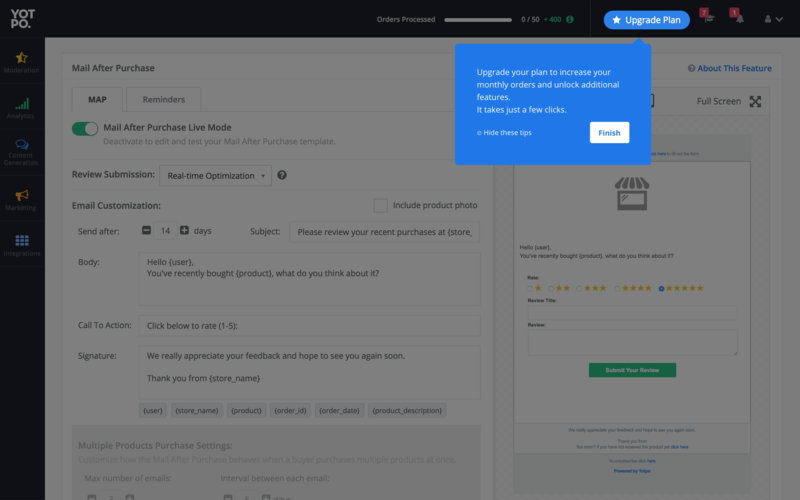 When new users sign up for their free plan, a series of tooltips guides them through each step of the process of crafting their first review request email. 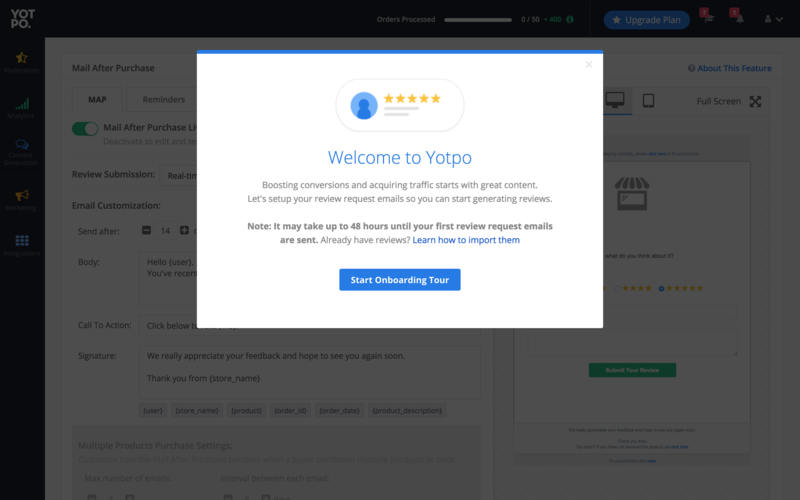 Yotpo makes sure their onboarding helps first-time users to get value out of the product right away. 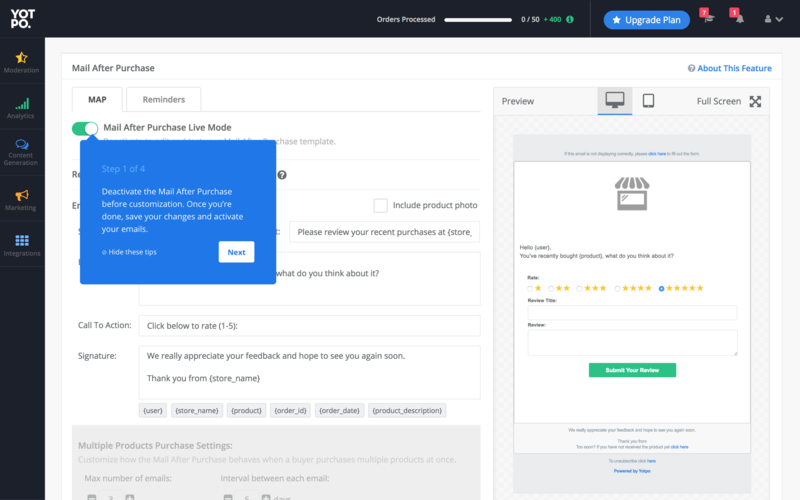 Users can get started immediately by filling out fields with the actual information and copy they intend to use in their review request email. 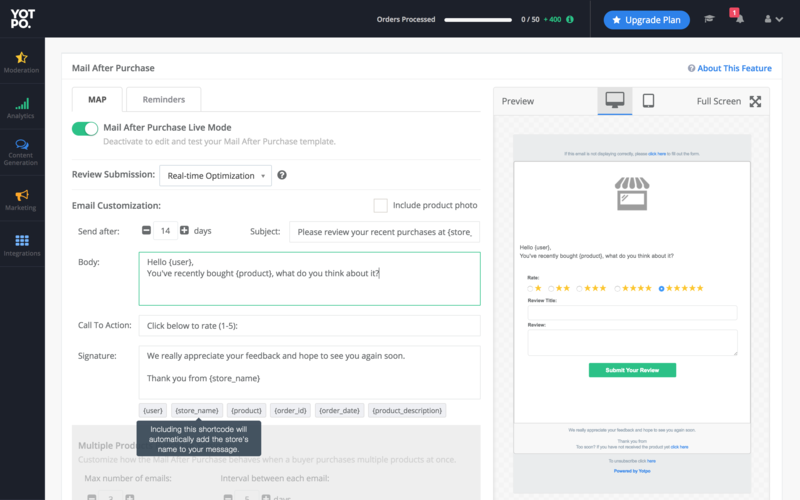 The four-step tooltip tutorial includes links to more reading about how to optimize email copy. 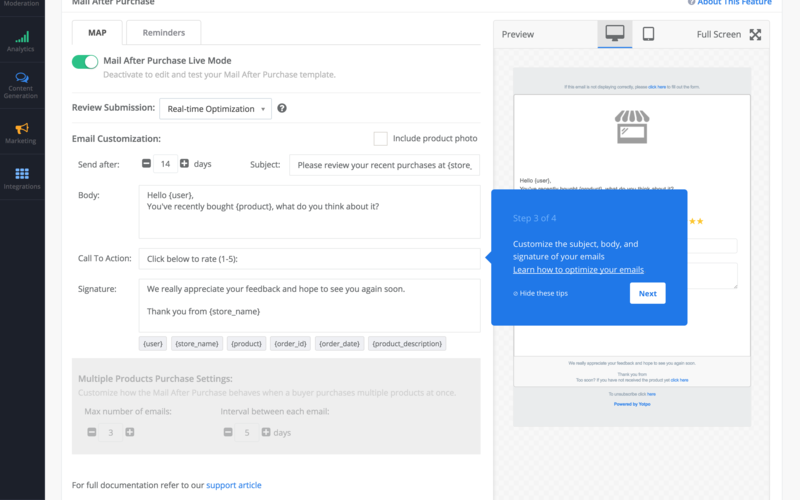 These tooltips inspire users to not only use the tool, but to also get the most out of their campaigns by reading up on educational content. 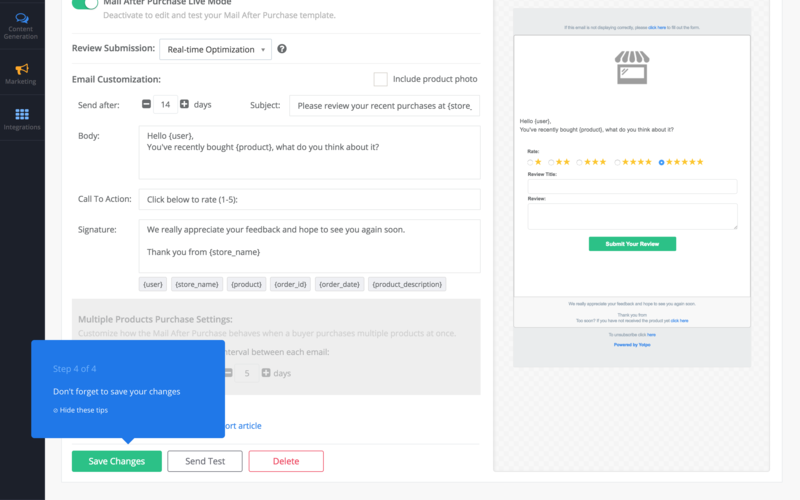 After the tour, Yotpo strategically places two more calls to upgrade tooltips by showing users the monthly cap on the free plan and hinting at the rest of the features that could be unlocked with a paid plan. Since these buttons sit unobtrusively at the top of the dashboard, this reminder doesn't come across as pushy. 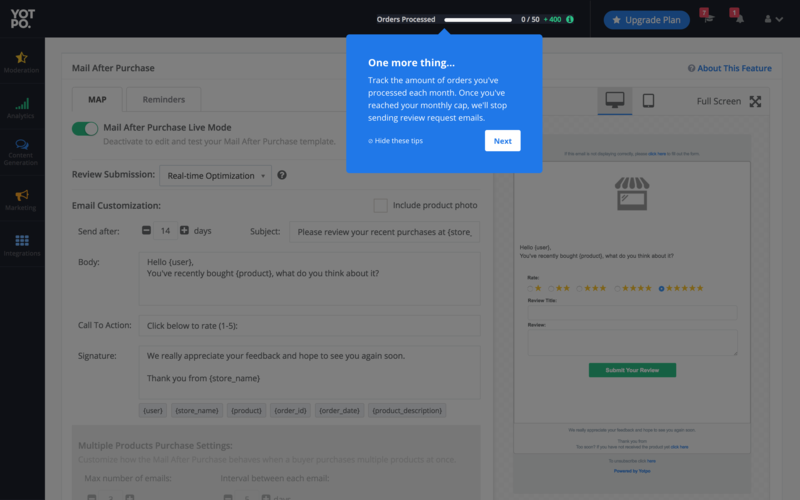 After the guided tour, the tooltips don't vanish — users can still learn about the different fields by hovering their mouse over certain words and sections, helping to clear up any other questions they might have.